Sometimes the best intentions can have the worst results. In 1908, British reformers banned the export of Indian opium to China. 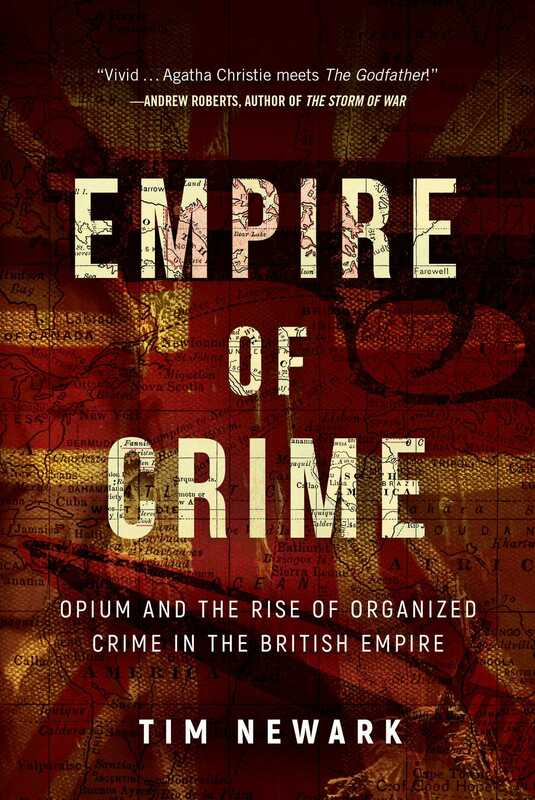 As a result, the world price of opium soared to a new high and a century of lucrative drug smuggling began. Just as the banning of alcohol in America during Prohibition made illicit fortunes for the Mafia and other gangsters, organized criminals grew rich on the trade of illegal narcotics throughout the British Empire. Empire of Crime introduces the reader to a whole new collection of heroes and villains, including US international drug-buster Harry J. Anslinger, Shanghai underworld master criminal Du Yue-sheng, and tough North-West Frontier police chief Lieutenant Colonel Roos-Keppel, nemesis of Afghan criminal gangs. The book shows how gangsters exploited the Empire’s global trade routes to establish criminal networks across the world. In many ways, these early drug dealers were the forerunners of today’s cartels. Digging deep into colonial archives, author Tim Newark weaves hidden reports, secret government files, and personal letters together with first-hand accounts to tell this epic but little-known story of the battle between law enforcement and organized crime.